We really needed that big win against Maccabi last week. We came into that game after a loss to a much better and much more prepared Darussafaka team that we expected. I think that the big thing was that we came back home and played in front of our fans after a few trips outside of Spain. Maccabi had won five in a row and a lot of people said that they were maybe the best team in Europe at the moment, playing really good basketball. They had a lot of momentum but I think we did a really good job defensively, shutting them down and making them play a different way. Usually, they try to play physical on defense but we were able to get the rebounds and our transition game was great. That took them out of everything they wanted to do. We kind of dominated the game from the start. Luca Vildoza had a great game against Maccabi. In the last couple of weeks, he has started to really play like last year, and maybe a step better. He is understanding the game, how to pick his spots and be aggressive. He is a good on-the-ball defender and can pressure fullcourt. His defense helps with his offense. He can shoot, drive and is a good passer. He has a lot of tools to use and is figuring out how to use all those things together. He is a really good player, another great Argentinian in Baskonia! The club does a great job of scouting, finding guys who play hard and getting them to play here. A lot of Argentinian players came here and some of them became some of the best players in club's history. "Baskonia fans really respect you when you play hard." I have been playing for Baskonia for a year and a half, so I can talk a bit about what they call "Caracter Baskonia". The fans talk about it all the time and the club doesn't mention that much, but everybody knows it is there. They do a good job of recruiting and signing players that already have this character aspect within them. They get here and everyone expects them to play hard and do all these things the right way. Then you come here and find a few guys who have been here before who play with character. You join them and it works that way. All Baskonia fans really respect you when you play hard. It is one thing to play hard, but it is another thing to enjoy playing and have that desire to win and do things. That is also part of this club: they always have big aspirations to make Final Fours, to make playoffs and do a lot of things. That is another key part of it. I mentioned the fans. They know basketball and can accept that you don't have a good day as long as you give 100 percent on the court. We have had a lot of ups and downs, this year and also last year. They got a little bit more mad at us, and it was deserved, because we didn't fight hard and lost to teams we should not have lost to. And then there are moments when you play really well and they completely change. And then there are those moments in which you play as hard as you can, but you cannot pull it out, for instance in our playoffs series last year with Fenerbahce. They really, really respected the effort that we gave and this is when the term "character" came up most for us. They really respect you when you play hard and give your all, and go from there. After traveling around a lot, we will not be out of Spain for the entire month of February. 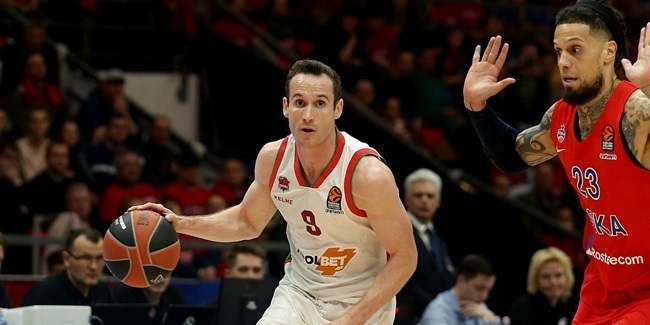 We will play three of our next four EuroLeague games at home – the only road game is in Barcelona – and we will also play the Copa del Rey tournament in Madrid. It is a key month, of course, right at the end of the regular season, with nine games remaining right now. We are fortunate to have six home games and three road games. For us, it is all about taking care of business at home and trying to secure that playoffs spot. I don't want to say it is easier for us with the home games, but it is definitely something you want to have on your side – playing in front of your fans, in your home gym, being able to control your own destiny. "You have to be careful with a team like Bayern." We face Bayern this week. We are really tough at home, but we have to respect what Bayern has done this year. I think that a lot of people expected them to win a few games, but not to be in the playoffs picture. 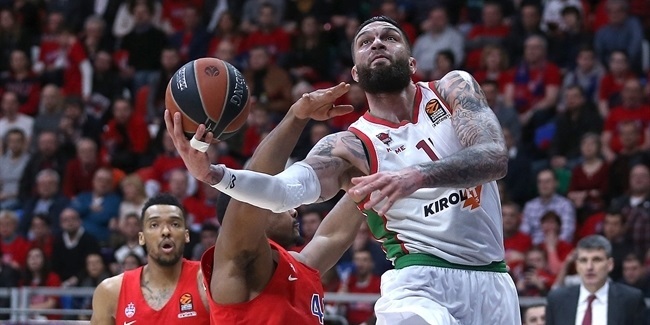 They have kind of been the surprise of the EuroLeague so far, playing really well at home. They have a lot of experienced players and an experienced coach in the EuroLeague. You have to be careful with a team like Bayern. We have to welcome them to Buesa... and send them home the right way! It has not been that cold in Vitoria lately but this past week, it started to rain and in the last couple of days, we had snow for the first time this year. It is starting to get a little cold and not as nice as we wish, but it is not the worst thing and I don't think it is going to last too long. We should be OK. It's funny: I played in Russia for Lokomotiv Kuban Krasnodar and now in Spain for Baskonia. People expect Russia to be cold and Spain to be warm, but it has been the other way around for me! Still, Vitoria is a great city. I like it a lot. 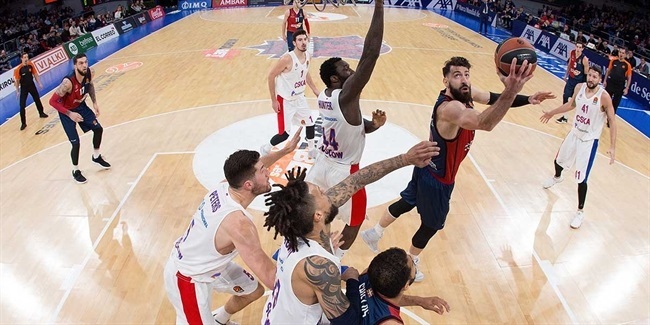 Like I said, Baskonia fans know basketball and they are going to be ready to help us out, to give us a push to make it to the playoffs and have a chance to fight for a Final Four spot here in Vitoria. So, come out and give double of what you have been doing to push us over the edge in these last six regular season home games. Give us that extra edge, like you guys always do!